theHotness | Unexpected Delights: Brandy, Parenthood, Aveda! Recently with so many let downs (Obama’s performance at 1st Presidential debate & Stacy’s Dash’s endorsement of Mitt Romney), put downs (crazy Coulter) it’s so refreshing when something unexpected happens that puts a smile on our faces like Joe Biden’s VP debate stance; like getting a “Thinking About You” card in the mail amongst all the bills; like finding money in a jacket pocket. Homestead Survival had a great idea for literally holding on to and remembering the small awesome things that happen to us: Take an empty jar and fill it with notes about good things that happen to you. At the end of the month or even better yet, at the end of the year, on New Year’s Eve, empty it and read back all the awesome stuff that brought you a lil’ unexpected delight that year. In keeping up with Homestead’s flow I decided to post 5 Things that surprised me in a very good way this past week. Check em out! November Elle & Vogue Mag Covers: So someone high up on the editorial totem pole at Hatchette must have read my rant on the lack of Black and Brown faces on the covers of Vanity Fair specifically, but also of Vogue and Elle too because in this one-month alone we have three amazingly fly covers of beautiful Black women courtesy of Elle, Elle-South Africa and Vogue. Octavia Spencer’s Elle cover is just featured on subscription issues and fails to show her entire body, but it’s still a stunner! I don’t even think Tav has been featured on the covers of Ebony or Essence yet so it’s definitely a huge coup for Elle. Elle South Africa wins for vibrancy with their majestic yellow cover of Solange. And Rihanna is on the cover of Vogue… again. This is her fourth Vogue cover appearance (she graced American Vogue and British Vogue on two distinct covers in 2011 and also covered Vogue Italia in 2009) and I think her best one yet. Mag covers are small things but when I see women of color on the cover the thrill is always huge. Representation doesn’t necessarily mean equality, but it does acknowledge and within that acknowledgement our kind of beautiful is promoted. Almond Butter: To say I don’t like peanut butter is a huge understatement. The thought of the Jiffy, Skippy, sticky-icky peanut-based alternative to stucco makes me immediately think of my elementary public school lunches where they would serve an ice-cream scoop heap of peanut butter on white bread with a measly tablespoon of grape jelly. It was HORRIBLE! I know it was a subliminal way to keep us quiet because one bite and your mouth would be sealed with all that peanut putty. So last year when visiting my friend in Toronto and she served toast with almond butter for breakfast I was very hesitant to try it. I told her I hate peanut butter so I’ll pass on its almond cousin. She assured me that they were nothing alike and she couldn’t have been more right. The almond butter has so much more flavor. It’s more subtle, but nuttier at the same time. You have to try it. Now when I crave a snack, which is practically everyday, one of my favorites is spreading almond butter on Honeycrisp apple slices. I can’t believe how such a little thing satiates me so completely. It almost replaces my longing for a ginger molasses cookie. Almost. 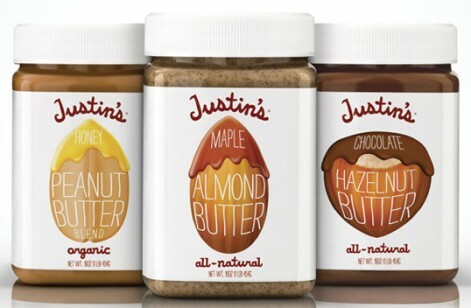 Even though almond butter is only slightly better for you than peanut butter, discovering almond butter is a major upgrade in my book and Justin’s with honey is my hands-down fave (“like” Justin’s FB page and get a coupon for $1 off)! Parenthood: It’s rare that I find a family sitcom on network TV that I really like. Cosby and Family Ties were the bees-knees. Modern Family not so much for me. I know blasphemy. 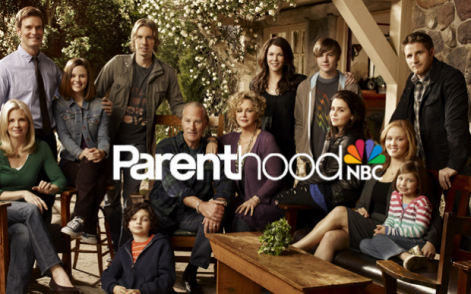 But then one Tuesday evening I was randomly flipping through channels and ended up entranced by the writing and connected storylines of Parenthood on NBC. Their recent episode about the use of the N-word was funny, insightful and carefully done and last night’s ep dealing with breast cancer and how that diagnosis affects an entire family that wants to be supportive, but end up being more than mildly irritating was sensitive and moving without being sappy. And I’m totally feeling how the women—flawed, complicated, passionate, and headstrong– are portrayed on the show by the likes of Joy Bryant, Lauren Graham and Erika Christensen and Max, the kid with Asperger’s syndrome, just gives the show so much depth. 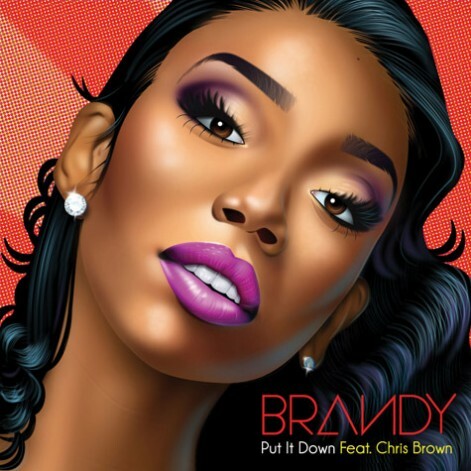 Brandy’s “Put It Down”: Laying in bed one morning not really listening to the radio, but just trying to wake-up to whatever noise that was blaring on my clock-radio alarm, I hear a simple hook that catches my ear: “I’mma put it down, you gon’ fall in love/ I’mma put it down (down), you gon’ fall in love.” I immediately pull out my Blackberry and click on Shazam and find out it’s by Moesha, Chardonnay, I mean Brandy. I was surprised! Brandy’s singing again? After two poorly received CD’s and a major car accident that smeared her name in the press, I thought she had turned-in her microphone for TV scripts. It seems though that with a pretty cool role on “The Game,” a wonderful boyfriend of two years and positive reviews of her new CD “Two Eleven” (her birthday & the day Whitney Houston– her idol, died), she’s making a real comeback with some radio-friendly yet grown & soulful R&B gems. “Put It Down” always puts a knowing, seductive grin on my face and yesterday became my latest iTunes purchase. Can’t wait to hear her entire album. Get it Bran! 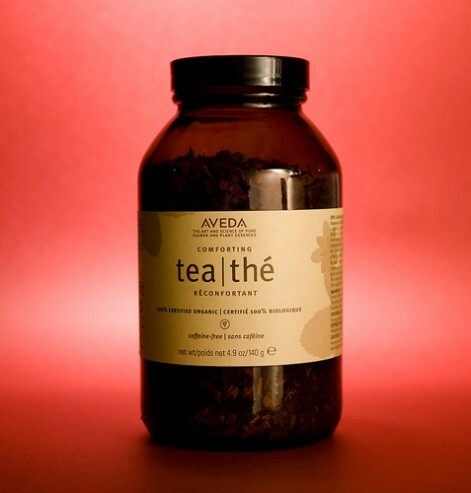 Aveda Tea: While in Aveda last week buying my usual Purifying Crème Cleanser, the clerk asked if I would like a cup of tea. I was thirsty so I accepted the small paper cup of warm tea. Expecting some version of green tea because as we all know, green tea is the new Lipton, I was surprised by Aveda’s tasty non-green brew. One sip and I was hooked. It has a distinctive taste, which I soon discovered was licorice and mixed with peppermint giving it an almost sensual flavor that mixes the “dark” sweet woody flavor of licorice with the zing of mint. I know Aveda rocks in terms of their skin and hair products, but was pleasurably surprised to discover their tea rivals Yogi, Tazo, and Bigelow. Next time you’re in Aveda ask to have a sip (if not offered) and enjoy a small piece of calm along your busy way. It comes loose in a jar and in a box as teabags.